Cats are adorable. You love cats. 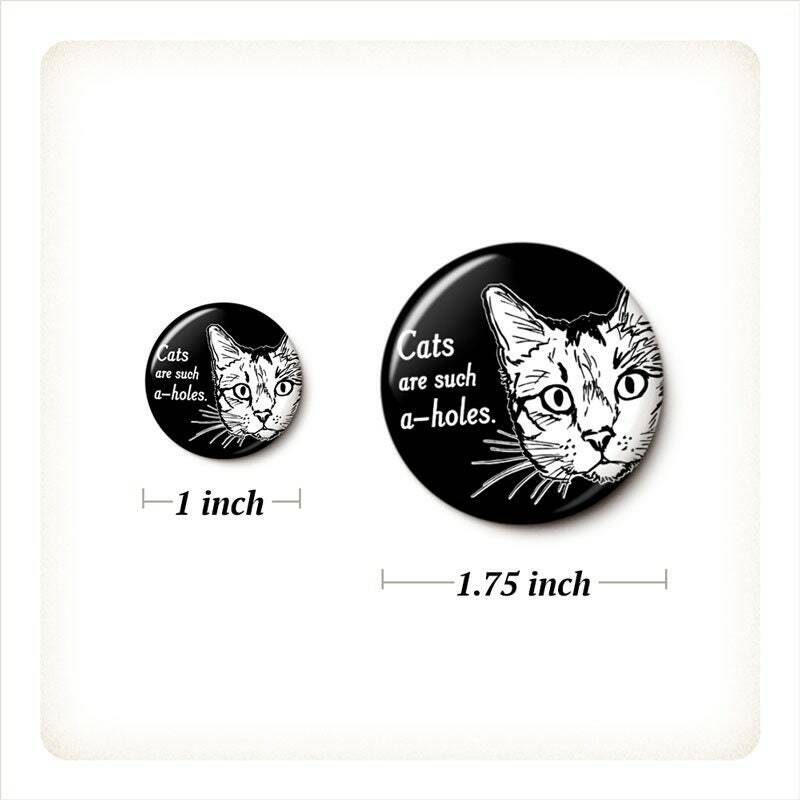 But there's no denying it, cats are such a-holes. 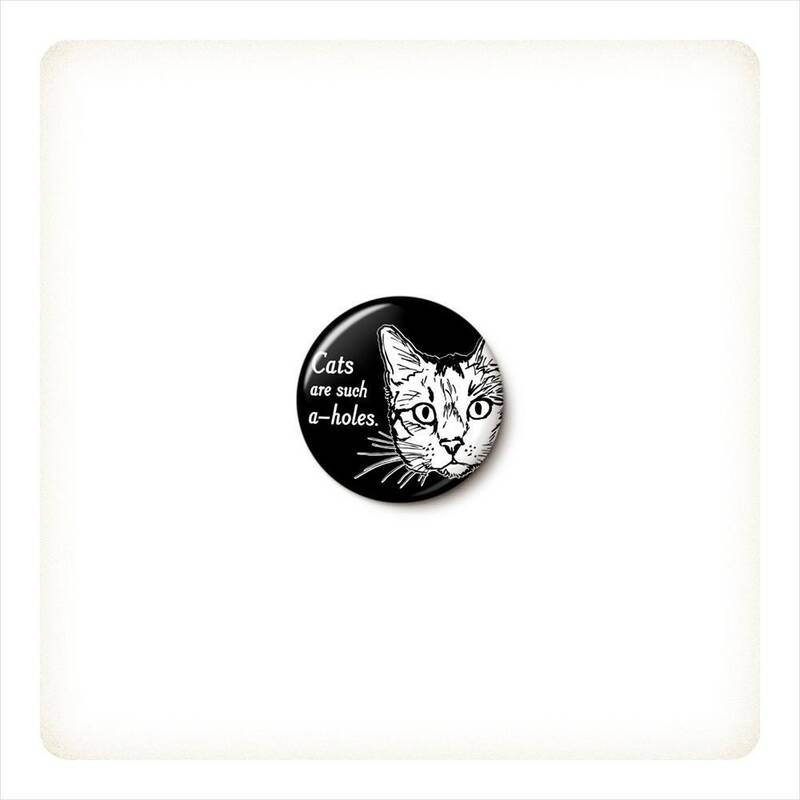 Cats Are Such A-Holes pinback button or magnet, your choice.